Skiing down a mountain, saddling up a horse, or rafting along a river are enjoyable experiences for many people. For an individual with a disability, these activities can signify the road to a fuller life. Each year, more than 3,000 individuals with disabilities discover the benefits of recreation through the National Sports Center for the Disabled. Whether a five-year-old with Down Syndrome or a 65-year-old recovering from a brain injury, our programs help people find their ability and are incredibly rewarding. 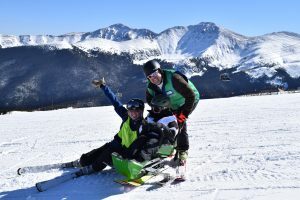 Sports and recreation activities are expensive, and our participants depend on us to provide adaptive equipment, specially-trained instructors and coaches. 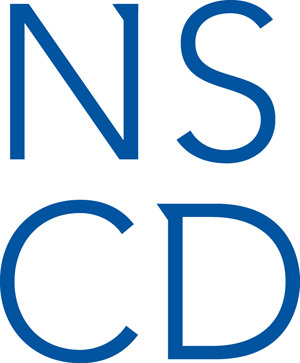 The NSCD receives only 15 percent of its revenue from participant fees. The remaining 85 percent comes from philanthropic gifts, grants, fundraising events and sponsorships. $45 will purchase a device that holds the tips of skis together. $75 will pay for one volunteer training clinic. $100 will help us replace a pair of ski boots. $210 will buy an outrigger, the forearm crutch with a ski tip attached. $600 will feed a horse in our therapeutic riding program for a summer. $1,000 will sponsor an athlete for a year. $2,500 will help us purchase a sit-ski. $5,000 will help us underwrite the costs of our weekly ski program for 20 children with disabilities. Green Dental Care – Green Dental Care is a general dentistry practice that excels in all facets of family dentistry, including more advanced dental procedures such as dental implants, Invisalign, wisdom teeth removal, root canals and many more services to satisfy each patient’s unique dental needs and desires. Patient satisfaction and convenience is their top priority! Green Dental Care is located in Parker, CO. Any NSCD adult volunteer, participant or staff that becomes a new patient will receive their choice of a Sonicare toothbrush or Sonicare air flosser as a gift. In addition, for every new patient, a portion of the visit will go towards a quarterly donation to the NSCD. If you’re interested in becoming a patient at Green Dental Care please call 720-845-5252 or visit Green Dental Care. Amazon Smile – Support the NSCD by utilizing Amazon Smile. Amazon will donate 5% of your purchase to the NSCD, at no cost to you! If you already have an Amazon account, your login information will not change. Start shopping here. The NSCD is proud to have GuideStar’s Platinum Seal of Transparency – the highest level of recognition. The Platinum rating demonstrates that the NSCD is committed to measuring program results in addition to providing transparent information to donors. Check out our Nonprofit Profile here. The NSCD participants appreciate your generosity as it is vital in funding life-enhancing opportunities to people with disabilities. Did you know that many employers sponsor matching gift programs and will match any charitable contributions made by their employees? To find out if your company has a matching gift policy, contact your company’s human resource representative. Cars Helping Charities: Donate a car to the NSCD today! We’ve partnered with Cars Helping Charities to provide you with an easy way to donate a vehicle to the NSCD. Your car donation is tax deductible, towing is free and donating your car to charity provides the NSCD with valuable monetary support. Get rid of that unwanted car by donating it to the NSCD! To start the car donation process simply fill out our car donation form online here or call Cars Helping Charities at 866-701-2277 (CARS) and speak to a car donation specialist. If you would like more information on convenient and meaningful ways to support the NSCD, please contact us at [email protected]. Thank you! In Memory Memoriam or Tribute Gifts are a timeless way to remember someone who has impacted the lives of others. To set up this special gift, click the link below and you will be redirected to the NSCD’s donation page. After you enter the gift amount, check the box indicating “The above donation is in honor, memory, or support of someone” and enter the name of the person you would like to remember – we do the rest. The donation is deposited directly into the NSCD’s account. Do you want to set up a recurring gift to the NSCD? By clicking the link below, you are redirected to the NSCD’s donation page. After you enter your donation amount, check the box indicating “Make this a recurring gift”. From the following drop-down menu you can enter the frequency at which you want to give. These donations are processed automatically at the frequency that you choose, and your donations are deposited directly into the NSCD’s account. Start a fundraiser to show your friends your passion for the NSCD! Click here, select “Start a Campaign,” then choose “Create a Campaign”. From there you can customize your own fundraiser and manage it from start to finish with all of the money raised benefiting the life-changing therapeutic recreation and adaptive sports programs offered by the NSCD. If you have any questions about starting your own fundraiser, please contact Annabelle at [email protected] or 303- 293-5312.